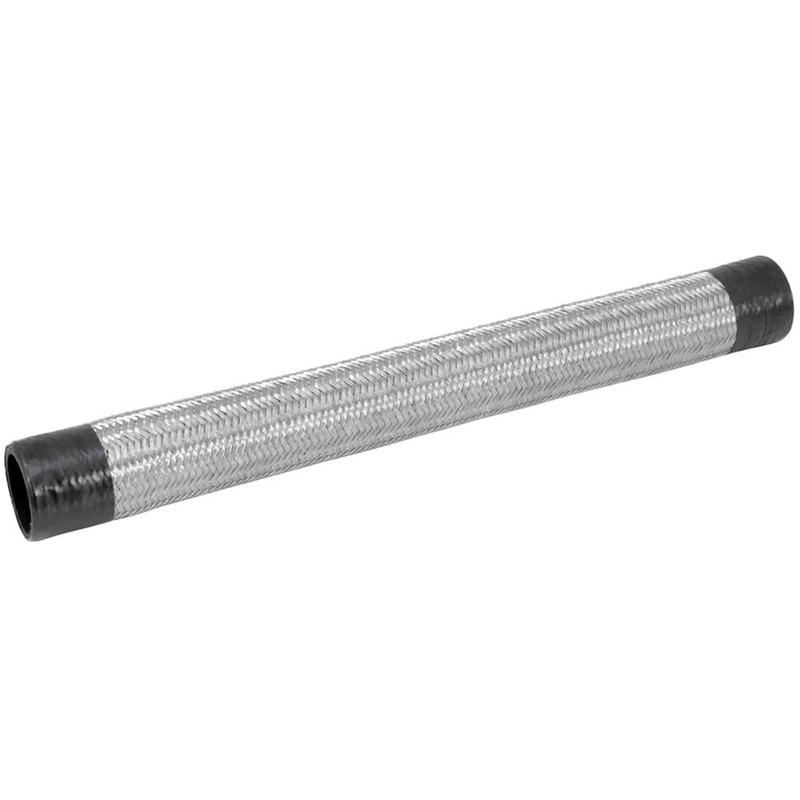 Spectre Steel-Flex Hoses are designed to be heavy duty hose replacements for you project vehicle. Spectre Steel-Flex Hoses are heavy duty rubber hoses wrapped in a 304 stainless steel braided shroud to not only dress up your engine bay, but also add an extra level of heat protection to the hoses. The Spectre Steel-Flex Hoses are available in multiple sizes and lengths to fit perfectly into any application you can think of. 6818 is rated 5.0 out of 5 by 1. Rated 5 out of 5 by DLJ200 from Engine upgrades Installed higher flow electric water pump so I needed to change out my lower steel flex hose.